The books should be used to help you reference words or sayings. 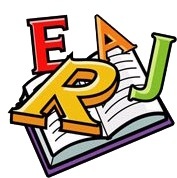 All the words in each English book are arranged alphabetically and you can click on a letter of the alphabet to get a list of words and description for the letter you have clicked on. To view any book just click on the link. A to Z of Idioms - list of English phrases Learn the meaning of some of the idioms from the England and around the world. A to Z list of British words that are not used in the United States A list of British words that are not used in the American language. Big Word list A to Z with brief definitions The big list of words from A to Z of and definitions to help you, when you don't know the meaning of the word. Big vocabulary A to Z list learning English vocabulary A list of vocabulary from A to Z to help when you are unsure what type of grammar a word is. English book of words with every letter of the alphabet from a to z This book will help you understand new words and there meaning. Online English dictionary - learning English An online dictionary to help with any words that are not in the books. List of phrasal verbs a to z Learning English Learn the meaning of some of the phrasal verbs that you might read or hear. Slang words - list A to Z English American and around the world A large list of slang words from the UK, America and some from around the world. Can the books be downloaded? The books are not available to download at the moment, but soon you will be able to download as a PDF or word document in the future.